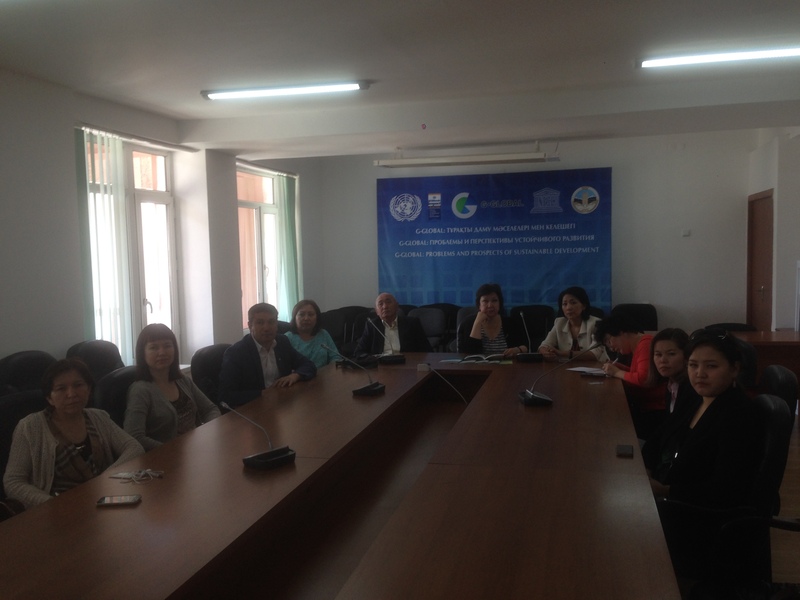 May 24, 2016 UNESCO Chair for Sustainable Development Al-Farabi Kazakh National University in cooperation with the Department of “Ecology” M.Auezov South Kazakhstan State University held a video conference on the theme “The role of higher education institutions in the development of a green economy in the Republic of Kazakhstan” on G-Global platform. Organizers: Tazhibaeva T.L., Bazarbaeva T.A., Temirbaevа K.A. The third interdisciplinary seminar on "Global challenges of the XXI century"